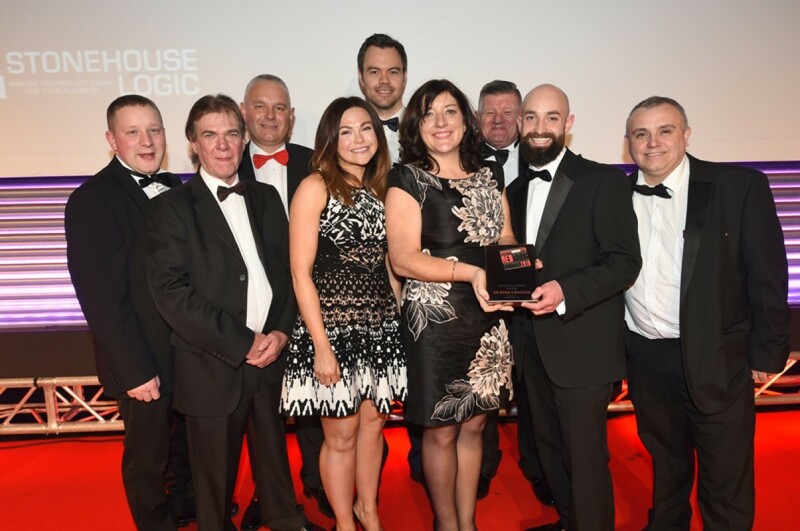 UPS Building triumphed at Lancashire Business View’s Red Rose Awards, winning a hatrick of awards in Customer Service, Property and Construction categories. Very passionate about customer service which came across and proved to be successful in delivering outstanding results for two different customers in a difficult industry. The judges were very impressed by the passion, humility and progressive approach of this growing construction business. Their concern for the specific needs of the end users of their projects is recognised by their clients and beneficiaries alike and this building their reputation across the north west. Their core principles of ‘best quality’ and ‘customer first’ have led the rapid transformation of the business from subcontractor to a successful main contractor. This is an authentic Lancashire business, demonstrating commitment to local recruitment and training, buying locally and supporting local community causes. The strong ‘team’ ethos of the business is evident in everything they do. The entries for this category were not only strong but also from a wide variety of disciplines, as such the winner of this award needed to have a USP to wow the judges. UPS certainly demonstrated this with their indisputable passion for not only what they do in business but also how they do it. UPS Building & Maintenance clearly have a tenacious vision of how they will continue to achieve their goals of servicing their customers to the highest of standards, succeeding in winning new business tenders and in training and retaining their staff. The strongest message that came across from UPS is their passion for what they do and their ultimate core value in making their business a fantastic place to work. As award winners, UPS collected three trophies specially crafted by apprentices at Darwen-based WEC Engineering. BBC Radio Lancashire and North West Tonight host Graham Liver compered the evening, with entertainment from Gravity Live, Darwen bane Pancake and Stax of Soul. The charity partner for Red Rose Awards 2018 is Cash for Kids and funds were raised at the awards event to support their work in Lancashire.